Taggiasche olives have been harvested on the Sant'Agata d'Oneglia farm for over 180 years. These olives are used in the production of an aromatic, natural extra virgin oil, free from oxidants. 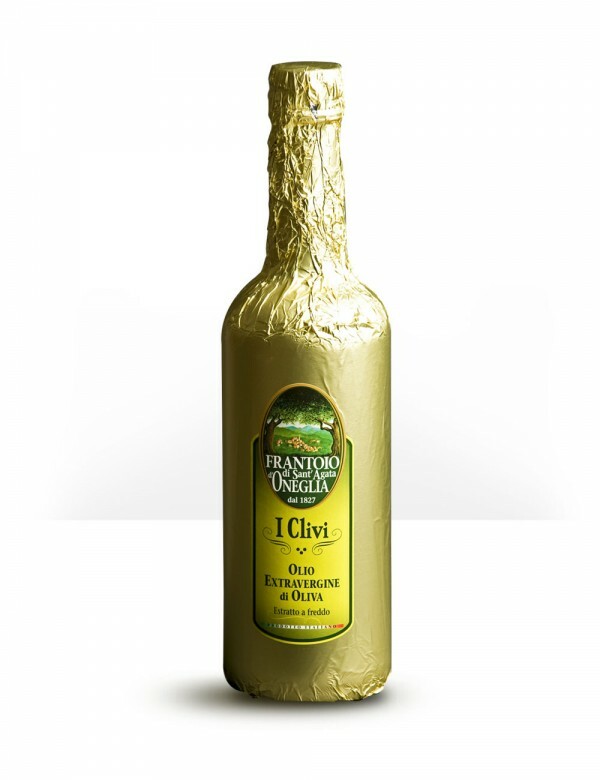 Extra virgin olive oil I Clivi is made from a mixture of Ligurian hand picked and cold pressed olives - Taggiasche and other Italian varieties depending on the yearly harvest. The result is a surprising blend of sweetness conferred by the Ligurian olive and the more vigorous flavour of typical olive varieties from the centre and the south of Italy. The oil is cloudy in appearance and a beautiful straw yellow in colour. The flavour is decisive and fruity, well rounded and full, with an after taste of green almond and cardoon. The Sant'Agata d'Oneglio press is located in a small village nestled in the hills of Imperia. Taggiasche olive have been harvested on these lands facing the sea for over 180 years, a typical variety of Western Liguria. Herein lies the secret of a special, aromatic, natural oil, free from oxidants.